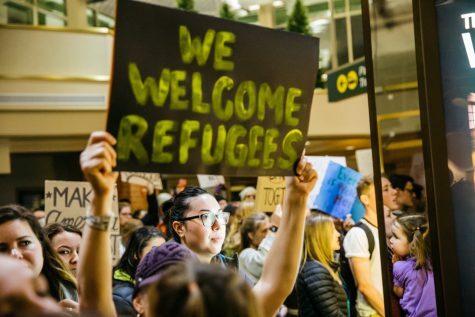 Just over a week after the Women’s March on Walla Walla drew historic crowds to Main Street, activists organized a rally at the Walla Walla airport to protest President Trump’s immigration ban on passport holders from seven predominantly Muslim countries. 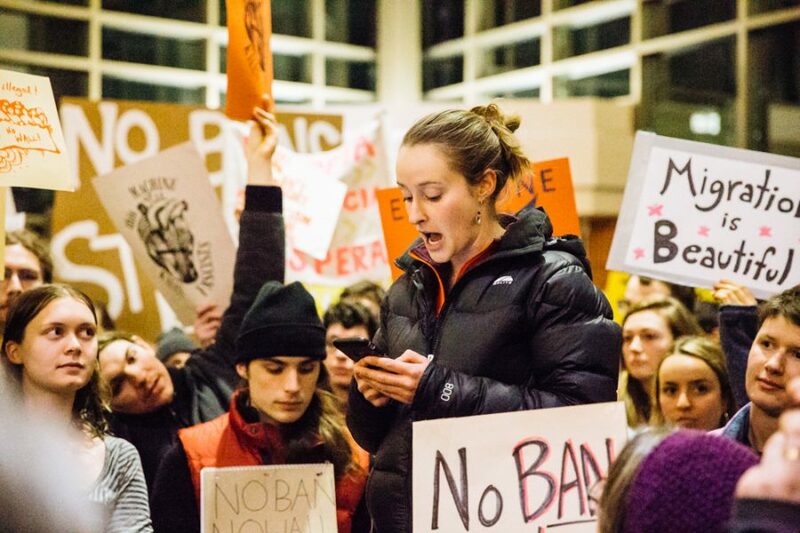 Whitman students, faculty and staff worked in tandem with the “Walla Walla Progressives” to coordinate action and to stand in solidarity with other airport rallies across the country. Whitman Senior Dessie Weigel was key in spreading the word about the event. 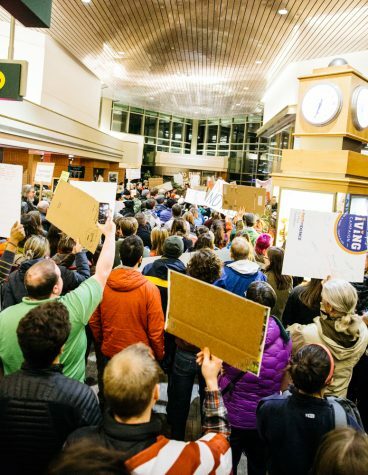 Two days ago Weigel found herself reading about protests at airports all across the country, and feeling as though she wished there were similar efforts in Walla Walla. Weigel met with the Walla Walla Progressives and proposed a rally at the Walla Walla Airport. They liked the idea, and she made a Facebook event to broadcast the rally. After just a few hours more than 100 people had responded, saying they wanted to take part. The Walla Walla Progressives worked to involve the local community in the event. 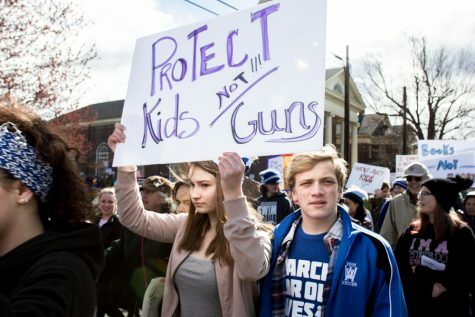 The rally kicked off at 6 p.m. Monday night. Activists filled the airport’s single terminal armed with signs and slogans. 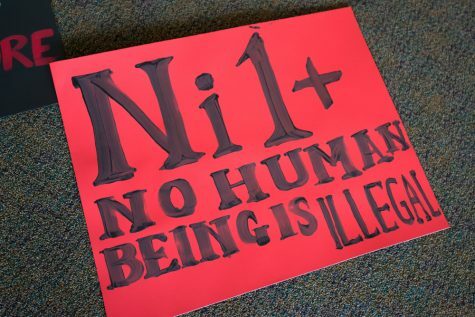 Testimony from anonymous refugees and immigrants was distributed through the crowd. These statements were read to the assembly throughout the event. Jennifer Skogland is the Airport Manager at the Walla Walla regional airport. 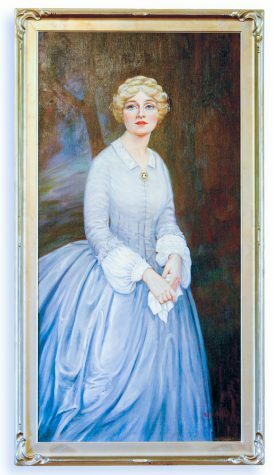 Though she declined to comment on Trump’s executive action, she was supportive of the peaceful action. “We welcome people here to the Walla Walla airport for a peaceful event expressing their first amendment rights to free speech,” she said. Despite the fact that no one is being detained at the Walla Walla airport, the rally has more than just symbolic power. Spreading awareness about the transgressions of the Trump administration can impact local politics. 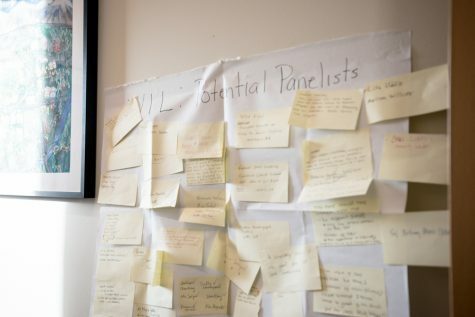 “Hopefully people making decisions and people with the power to change these policies will still hear and see the number of people who disagree, and that we are a passionate community–one that they represent,” Weigel said.